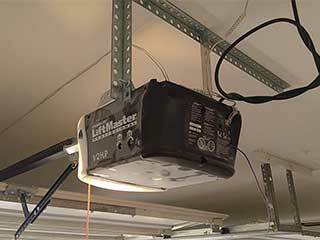 Garage door openers have become synonymous with convenience. Imagine getting home late at night and having to get out of your car just to open your garage, and then get back into your car, drive inside, and get out again to close the door back down. With an opener, all you have to do is push a button. You may not even need to do it twice. While openers can be a convenient addition to your day to day life, they can become extremely inconvenient when they malfunction. In fact, depending on the problem, they can even be potentially dangerous. This is why regular maintenance should be conducted to make sure that any small issues do not grow into major problems. Our professional technicians at Garage Door Repair Oakdale are well-trained and highly skilled in dealing with every type of problem, especially ones that have anything to do with your opener. We make it a point to keep constantly hone our skills, and our experts undergo routine qualification courses to make sure they never lose their edge as far as fast and efficient repairs go. If your opener's motor gear has worn-out we'll quickly replace it, if its circuit board is acting up, we can repair that too. If your door refuses to open no matter how many times you try to order it to do so, then let us help you out. Our technicians will easily identify the problem and address it in no time. If you have an old door or opener and are looking to replace it, we will happily help. Our inventory is constantly restocked with the latest models, and we have a wide selection of openers with various safety and security features to offer you. Our experts at Garage Door Repair Oakdale have been operating in this field for a very long time, and we are absolutely committed to providing you with the best service.